The new Sigma sd Quattro H mirrorless camera continues the three core Sigma camera traditions, namely superb image quality at low ISO settings, an idiosyncratic user interface, and frustratingly slow performance. Once again, if you prefer a more leisurely approach to taking pictures, the sd Quattro H will reward you with some amazing images, if you can get on with the "unusual" user interface. The Foveon X3 Quattro sensor returns again, this time in the unusual APS-H format, and whether you believe it to have the 51 megapixels that Sigma claim or or the native 25 megapixels of the top blue/luminance layer, it can definitely deliver stunningly sharp, high-resolution images. As this is a compact system camera, you're free to use whichever Sigma SA-mount lens you desire, unlike the DP Quattro compact cameras from a couple of years ago, which had fixed lenses instead. Despite some improvements to the operational speed in the form of not one but two Truepic III processors, the Sigma sd Quattro H is still a rather unresponsive camera that's really only suited to static or slow-moving subjects, especially as the combined phase/contrast detection AF system takes about 0.5 second to lock on to the subject. 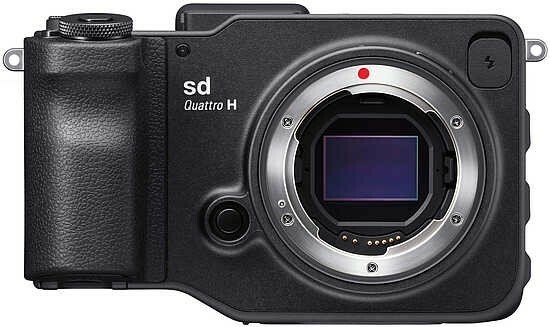 The latest radical design is again a love it or hate it affair, with the Sigma sd Quattro resembling a DSLR camera in size and weight, and battery life is shockingly poor for a modern camera. We did enjoy using the excellent EVF and rear LCD screens though.